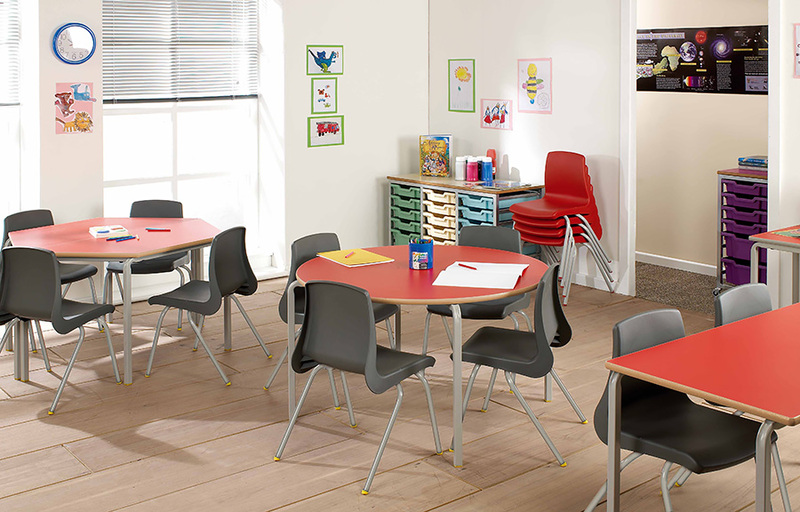 Part of our Crush Bent classroom table range, this set of 3 circular classroom tables is suitable for use in schools, pre-schools and nurseries. 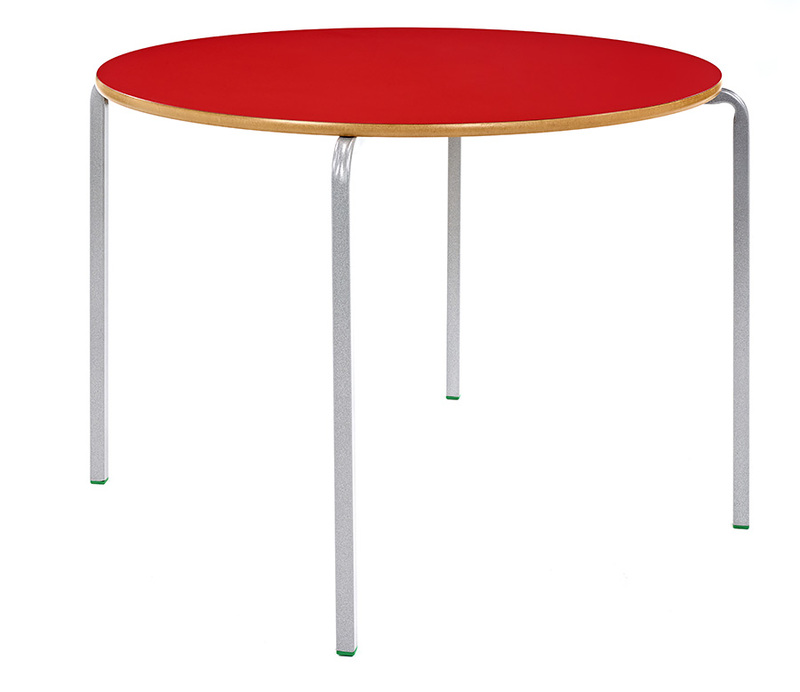 The 1000mm diameter classroom tables is available in a choice of 6 heights for differing ages from 3 to 14 years. 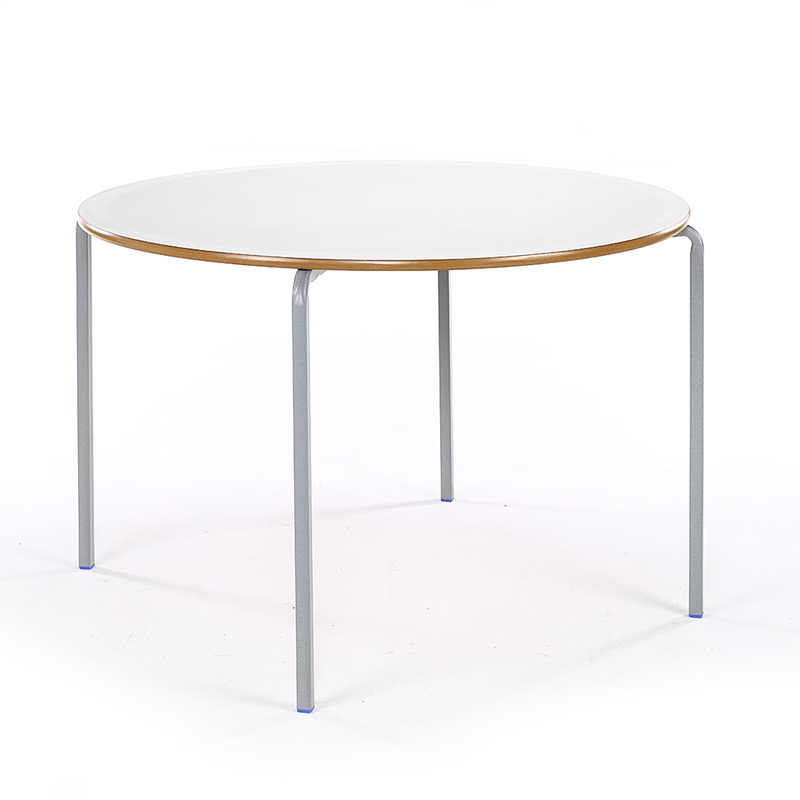 The steel 25mm square tube frame is supplied in a speckled light grey finish, and the 18mm MDF laminated top is available in 10 vibrant colours. The table top has a durable spray PU edge which is hard wearing and available in charcoal, blue or light grey. 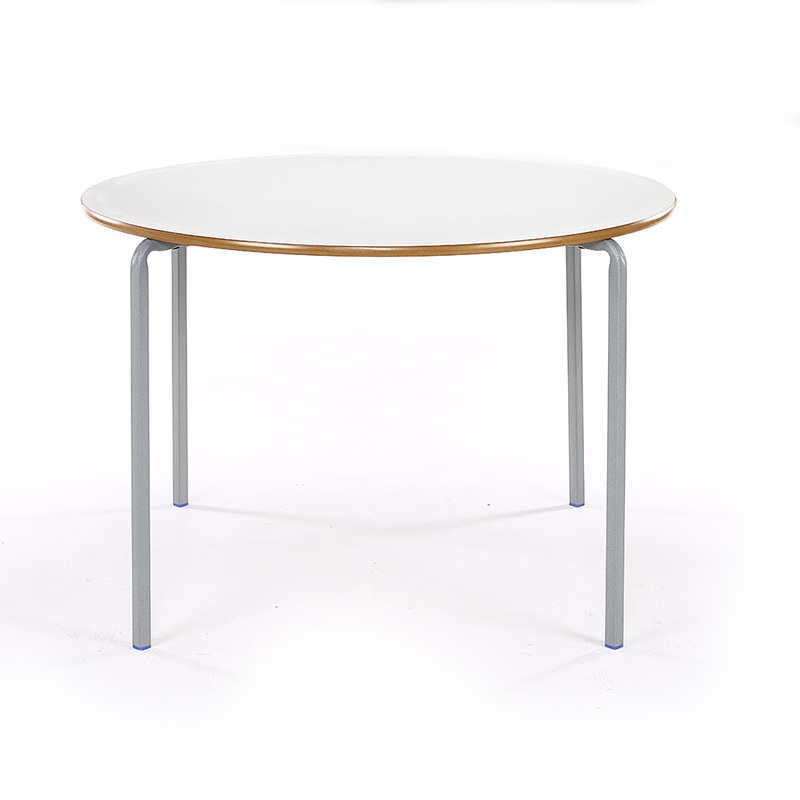 Our Crushed Bent classroom tables are fully compliant to EN1729 and include a 5 year warranty. These tables are compatible with others from the Crush Bent range and can be used to create different shaped table groups. The Crush Bent range includes Rectangular, Trapezoidal, Square and Semi-Circular tables. Please note: The Crushed Bent Circular Tables are not stackable.